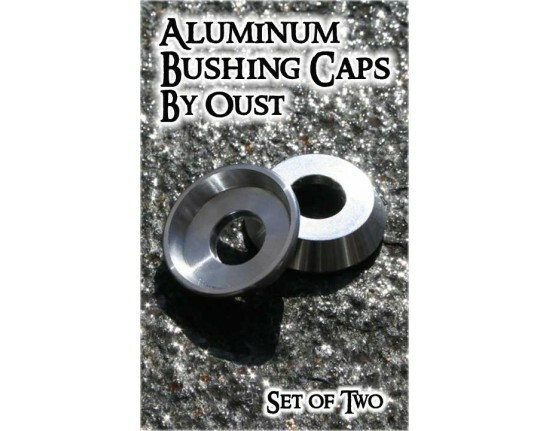 Oust Bushings Washers are manufactured from 7075 - T6 material to insure rigidity and stabilization of the bushing washer under severe stress. Designed to keep your bushing firmly in place and eliminate performance-robbing bushing bulge. A favorite addition to all high performance skating setup, like downhill, slalom, technical skating, and street. 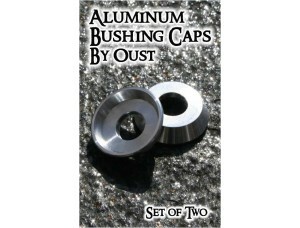 Sold in pack of two bushing caps.